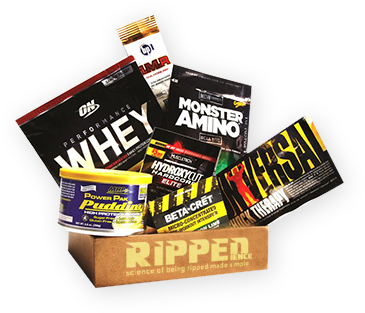 If you subscribe to RIPPEDience and/or place an order through RIPPEDience.com, sign up and/or place an order through the App, or subscribe and/or place an order through the Store we will ask you for your name, e-mail address, shipping address, telephone number and credit card information or certain other personally identifiable information about yourself (“Personal Information”). We use this information to process and fulfill your order and to notify you of your order status. All archived credit card information is maintained in a secure and safe environment. Telephone numbers and e-mail addresses are used to contact you regarding your order. In addition, when you respond to a contest, survey, questionnaire, sweepstakes or other promotional feature, we may ask you for your name, address and email address or other Personal Information. We do not collect any Personal Information about you unless it is voluntarily provided by you. RIPPEDience will never sell, rent or share your Personal Information, including your e-mail address, with any third parties for marketing purposes without your express permission. Please note that RIPPEDience reserves the right to and may disclose Personal Information about you in response to (a) requests from local, state or federal law enforcement officials; (b) any judicial, administrative or similar proceeding or order, such as subpoena; (c) if required by law; or (d) to investigate suspected fraud, harassment, physical threats, or other violations of any law, rule or regulation, the Site, App, or Store rules or policies, or the rights of third parties or to investigate any suspected conduct which we deem improper. If you submit your email address to be added to a mailing list or Sweepstakes or other promotion, we will use the email address for the sole purpose of sending you announcements, special offers from RIPPEDience and its promotional partners along with Site, App, and Store updates. Each email we send will contain information on how to unsubscribe from our mailing list. You can also unsubscribe by sending an email to info@RIPPEDience.com. If you elect to use our referral services for informing a friend about our Site, App, or Store we ask you for the friend’s name and email address. RIPPEDience will automatically send the friend an initial email inviting them to visit or transact with the Site. RIPPEDience may also send additional emails reminding your friend that you referred them. Additionally, you may send additional “Nudges” to your friend to remind them to sign up. RIPPEDience stores this information for the sole purpose of sending these referral emails and tracking the success of our referral program. The friend may contact RIPPEDience to request the removal of this information from our database and to stop receiving Nudges. We are committed to protecting the information we receive from you. However, RIPPEDience will not be liable for disclosures of your Personal Information due to errors in transmission or unauthorized acts of third parties. We have undertaken commercially reasonable efforts to prevent unauthorized Internet access to visitor data retained in our servers, however, due to the inherent open nature of the Internet, RIPPEDience cannot ensure or warrant the security of any information you transmit to us or any information provided online, and you do so at your own risk. Users must accept all risks associated with any data transmission, including the risk that their Personal Information may be intercepted in transit. If you are a registered user, you may access and update your registration information and your preferences to receive email or other communications from us by sending an email to info@RIPPEDience.com. You may also update or change your Personal Information or Preferences by sending emails to info@RIPPEDience.com. We will take commercially reasonable steps to implement your opt-out requests promptly, but you may still receive communications from us for up to ten business days as we process your request. RIPPEDience Inc participates in the U.S. – E.U. Safe Harbor framework and the U.S. – Swiss Safe Harbor as set forth by the United States Department of Commerce. As part of participation in the safe harbor, we agree to TRUSTe dispute resolution for disputes relating to our compliance with the Safe Harbor Privacy Framework. If you have any complaints regarding our compliance with the Safe Harbor you should first contact us (as provided above). If contacting us does not resolve your complaint, you may raise your complaint with TRUSTe here. Fax to 415-520-3420, or mail to TRUSTe Safe Harbor Complaints Dept., click here for mailing address. If you are faxing or mailing TRUSTe to lodge a complaint, you must include the following information: the name of company, the alleged privacy violation, your contact information, and whether you would like the particulars of your complaint shared with the company. For information about TRUSTe or the operation of TRUSTe’s dispute resolution process, request this information from TRUSTe at any of the addresses listed above. The TRUSTe dispute resolution process shall be conducted in English. Our Site may contain links to other web sites, including our affiliated or co-branded web sites. Other web sites may also reference or link to our Site. These “other” domains (web sites) are not controlled by RIPPEDience. We encourage our users to be aware when they leave our Site to read the privacy policies of each and every web site that collects personally identifiable information. We do not endorse, screen or approve, and are not responsible for the privacy practices or content of such other web sites. Visiting these other web sites is at your own risk.